The TEE PALM significantly improves performance in TEE interpretation and produces long-term retention. 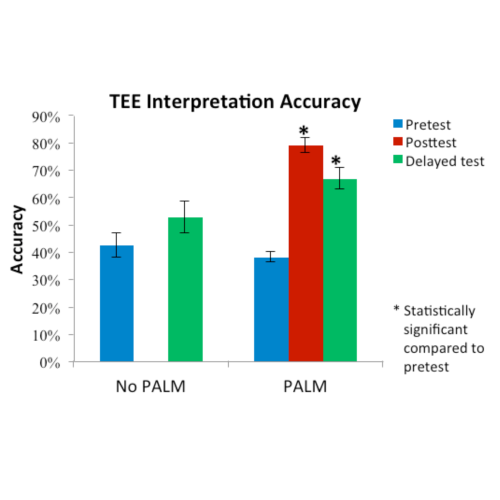 Prior to PALM training, accuracy in interpreting TEE videoclips showed an increasing trend with increased years of training. Fluency (correct answers within 10 seconds) was much lower, and fairly comparable, for all trainee groups relative to that of the faculty. 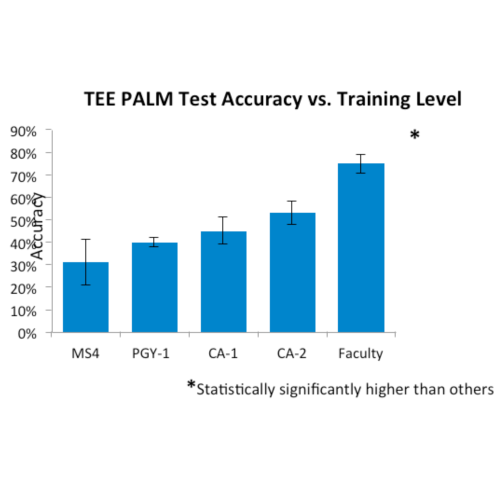 Note that, despite the small numbers (N), Faculty performance was statistically significantly better than the performance of all other groups, for both accuracy and fluency, as indicated in the accompanying table. 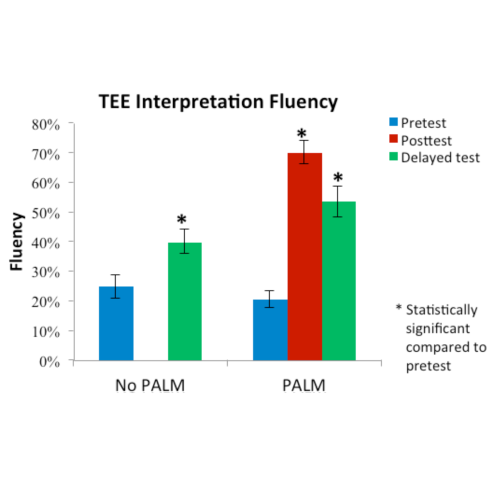 The differences between the pretest and delayed test performances for the experimental group were statistically significantly larger than those for the control group for both accuracy and fluency. Romito B, Krasne S, Kellman PJ, Dhillon A. The Impact of a Perceptual and Adaptive Learning Module on Transesophageal Echocardiography Interpretation in Anesthesiology Residents: A Pilot Study. British Journal of Anaesthesia, 2016;117(4):477–81.